» What in the World is a Hidden Twin Ultrasound? What in the World is a Hidden Twin Ultrasound? Ever heard of the hidden twin ultrasound? Imagine this scenario. You have recently found out you are pregnant. Already, thoughts of having a baby make you really excited! Of course, you visit your OB-GYN, go through an ultrasound and feel utter joy and relief that everything that’s going on in there is as it should be. After about 20 weeks, you have a repeat ultrasound, and then lo and behold! You get the surprise of your life and find out that you’re not just pregnant with one baby, but you’re actually having twins! The other twin has been hiding all this time. Now, take a moment to breathe. You are definitely not alone. A number of mothers have experienced this surprise hidden twin syndrome. Don’t you worry. We’ve got everything you need to know about this, so read on. What are the chances of hidden twin ultrasound? Perhaps, a most-asked question related to this is, “Can twins be hidden in an ultrasound?” According to OB-GYN Idries Abdur Rahman of TwinDoctors TV, it is definitely possible to have a so-called hidden twin even if this condition is uncommon. He adds that this occurs a lot more in early ultrasounds because the baby is smaller during the first trimester than during the second and last trimester of pregnancy. Hidden twins usually happen in monoamniotic pregnancies, where the babies are found in the same amniotic sac. Finding out that a second twin is hiding is often discovered at the 20th-week mark of pregnancy. It is possible for an ultrasound to miss the hidden twin. The Washington State Twin Registry also explains that there is a possibility that ultrasound pictures can be misinterpreted or misleading, which also contributes to experiencing hidden twins. Early in pregnancy, two fetuses can be positioned where one is directly in front of the other. This blocks the second fetus in totality, which makes it possible for an ultrasound to miss twins. Is it enough to “feel” pregnant with twins even without an ultrasound? What is there to know beyond the common signs and symptoms? Although only an ultrasound can say for sure if a woman is pregnant with twins, there are several signs and symptoms of a multiple pregnancy. Knowing what these are can be helpful especially when you have a hunch that you are pregnant with more than one baby. A woman may feel that there really is something else going on beyond the commonly known symptoms in pregnancy. Find out if you’re having twins through a 3D ultrasound. Some of these above-and-beyond physical manifestations include morning sickness that is extremely terrible or even unbearable, while the other is getting a lot of fetal movement early on. If, however, a woman continues to suspect that she may be pregnant with more than one baby, the best thing to do is to request a 3D (or 4D) ultrasound. These types of ultrasounds are not standard and are only needed to check for anomalies but in cases where a woman needs to know if she really is pregnant with twins, a request will be granted. The point is, whenever in doubt, always be sure to talk to get in touch with an OB-GYN. 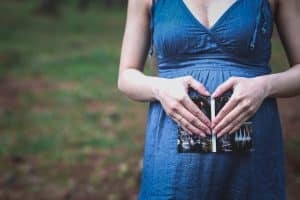 How do I cope with the emotions of expecting twins? A mom-to-be who finds out that she is having twins goes through a roller coaster of emotions. Among these feelings include shock, denial, depression, acceptance, and (hopefully, in the end) a feeling of bliss when the twins are born. But then, not everyone goes through a pregnancy the same way and may be cause for concern. Lana Levin, a psychologist who specializes in pregnancy-related concerns says that a woman who is pregnant with multiples may have a lot of fears. They feel fear of the possibility of losing a baby, fear of having a preterm delivery, and fear of not being able to cope financially. With these overwhelming thoughts and emotions, depression may sync in. The signs of depression include feelings of sadness and hopelessness, having negative thoughts about one’s self, not being able to sleep well, a lack of interest in doing things or being with people, and a loss of appetite. If these feelings are unattended, then a woman’s emotional condition will worsen. But if it is dealt with correctly, these emotions will not lead to serious problems. The American Pregnancy Association suggests ways to cope to make pregnancy emotions more manageable. Give importance to Self-care. Be aware of what you need regularly. If you need time to relax, do so. If it is reading a book, going on a stroll, having your hair done, or enjoying a bubble bath, make time for it. Get at least 8 hours of sleep. A minimum of 8 hours is considered a healthy amount of sleep. Find your best sleeping position for utmost comfort. Eat healthy and natural food. A healthy diet boosts physical and mental health which in turn increases emotional stability. Get support from the people around you. This is the best time to keep in touch with your closest family and friends who really understand what you’re going through. If you feel overwhelmed, let them know. Always be open with your thoughts and feelings. Communicate with your doctor, especially when it becomes extremely difficult to deal with your emotions or if you feel that depression is becoming severe. Professional counseling may be needed as an intervention. Other things to try to fend off the pregnancy blues are to focus on the positive things in life. Having the right perspective does wonders to one’s emotional well being. Another is to ask help for practical things like grocery shopping or household chores. Find out about local support groups and plan some time off with them and your friends. Avoid being too hard on yourself or your partner. And finally, keep fit and get the happy hormones going with exercise. These remedies would surely make you feel better about yourself and your pregnancy amidst experiencing the highs and lows of a hidden twin ultrasound.